The high commitments of the Comprehensive and Progressive Agreement for Trans-Pacific Partnership - CPTPP, which will be effective from the end of December 2018, will promote cooperation in the Asia-Pacific region; benefit all participating countries and cast a comprehensive impact on Vietnam's politics, national security, foreign policy, economy and society. The commitments in the financial services sector of the CPTPP, which aim to promote the development of the financial services market in member countries, including Vietnam, are: (i) Expanding market access commitments with a transparent mechanism to provide better market access for foreign investors; (ii) Applying an investment protection mechanism to ensure investors’ full benefits; (iii) Ensuring policy space to implement prudent management measures in order to establish a stable environment of macro finance, etc. Compared to WTO commitments, Vietnam has been committed to additional openings to some new types of services including: (i) Opening cross-border reinsurance services; (ii) Granting national treatment to foreign securities service providers for a number of services such as cross-border financial data processing; consultancy services and cross-border auxiliary services related to self-trading accounts or customer accounts; (iii) Opening portfolio management services across borders. Thus, financial liberalisation under the CPTPP framework is very high even though member states have the right to actively take measures to strengthen the financial stability and integrity of their financial system, including the exception rules that member states consider prudently and the exceptions of non-discriminatory measures in the process of establishing and implementing monetary policy or other policies. Like other countries, Vietnam is allowed to adopt the necessary exceptions, including prudential measures to safeguard national security, interests and personal information; the exchange rate and monetary policies aiming to ensure a stable and safe investment environment. 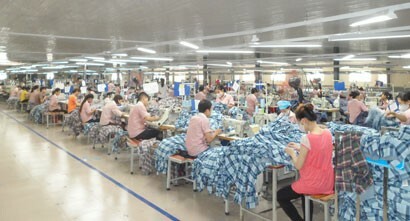 The implementation of the CPTPP, including the mentioned commitments on financial services, will contribute to improving the legal basis of competition in Vietnam, thereby attracting and promoting enterprises of all economic sectors, including foreign-invested enterprises doing business in Vietnam, when the business environment is guaranteed to be fair, transparent and non-discriminatory. 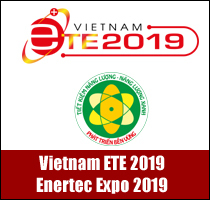 In addition, Vietnamese enterprises are also guaranteed to enter into competition with other enterprises on other members’ markets; helping the Vietnamese business community to shape and instil a competitive culture, raising awareness of healthy competition and conscious protection of their legitimate rights and interests; facilitating the improvement of qualifications and capacity of Vietnam's competition law enforcement agencies through mechanisms for cooperation, exchange of information and consultation on issues related to competition among member countries in the implementation of the commitment. However, implementing CPTPP also poses challenges related to a number of complex competitions, various and sophisticated anti-competitive behaviours in the context of deepening economic integration in the future. At the same time, the challenges also come from the limitations of Vietnam, for example small capital market, weak liquidity, lack of attractiveness, incapability to attract foreign capital flows, especially large capital flows; the scale of capital of the monetary market is not adequate, especially the small size of commercial banks’ capital; the size of the insurance market remains relatively small with the fee-to-GDP ratio at about two percent compared to the average of 3.2 per cent in the ASEAN region and 6.5 per cent in the world; the imbalance between the capital market and the currency market is likely to lead to a loss of bank’s liquidity. Bad debt and bad debt handling are still unsuitable; trust in management and service quality of commercial banks is low; imbalances between stock and bond markets; imbalance between credit and non-credit banking services; Imbalances between short-term and long-term capital markets; structural irregularities between public finance, corporate finance and personal finance; market level is low, while the sense of law compliance is limited, sanctioning violations are not high deterrence. The impact of the CPTPP on the economy will depend on the preparation and the ability to exploit the duality in the implementation of this agreement of Vietnam. Therefore, the participation in CPTPP requires working out policies to take advantage of opportunities, address challenges and promote economic efficiency. The adoption of CPTPP will offer many valuable opportunities for Vietnam. The first is the opportunity to expand trade with three new potential markets in Central America and the opportunity to upgrade and deepen trade ties with other markets, including those having strategic partnerships with Vietnam. This is an opportunity to increase profits for enterprises, generate more jobs, promote economic growth and improve people's livelihoods and multilateralise international economic relations as well. There are also opportunities to end excessive reliance of the Vietnamese economy on some markets and ensure sustainable and independent development. This agreement has high demands for labour, environment, anticorruption and transparency standards which require a lot of effort and compliance costs but will bring huge benefits to workers, society and prestige and brand of made-in-Vietnam goods. 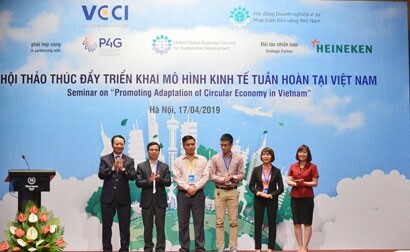 For Vietnam, its commitments to high trade standards will be a momentum and a pressure to speed up reforms, perfect the market economy, improve the business environment and enhance competition. Amid global economic turmoil, conflicts and escalating trade wars, these opportunities are more valuable. However, opportunity is just opportunity. There are certain threats that may spoil opportunities. Lessons learned from the enforcement of 10 FTAs have proved this reality. FTAs used to promise huge opportunities but real benefits of Vietnam were still modest. As for benefits from preferential tariffs, Vietnam utilises less than 40 per cent on average (mainly belonging to FDI enterprises). 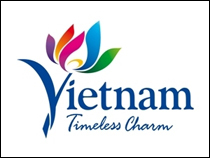 More than 60 per cent, for various reasons, has fallen out of the hands of Vietnamese businesses. The signing and ratification of CPTPP is an important political decision that demonstrates the wisdom and vision of our Party and State for the benefit of the country. CPTPP is the highest standard agreement ever and the Action Plan for it must also reach the highest standards. Consistent efforts and decisive decisions of this high-level integration are eventually efforts for institutional reform and competitiveness improvement. To meet such requirement, we have to work very hard. The Doing Business Report released recently by the World Bank (WB) showed that Vietnam was ranked 69th in the world, the lowest position among 11 CPTPP economies. The gap with the world is too big and competition will be very harsh. The rising number of inactive businesses clearly showed this. The path of reform is thus very long. The first is developing necessary legal policies to comply with CPTPP's commitments and respond to challenges and grasp new opportunities. Then, it is necessary to have concrete plans to execute commitments wisely and flexibly for the benefit of the business, the nation and the people; filling the gap between words and actions; persistently remove every sub-licence or every administrative procedure that upsets people and enterprises to not only unbundle them but also inspire massive entrepreneurship. It can be certain that the opportunity for Vietnam is huge when it joins the CPTPP trade pact. This is a very high-level comprehensive trade agreement compared to other trade agreements that Vietnam has signed earlier. This forces Vietnam to reform its macroeconomic foundation and all economic sectors. This is also an opportunity for a wide-ranging economic reform. However, it is also coupled with a big challenge. The treaty consists of 11 members, with 10 being capitalists. Vietnam is the only member that pursues a socialist-oriented market economy. This institutional disparity makes its rules and economic organisation inconsistent with the rest. This results in differences in laws, organisation, State roles, and even labour relations. This requires Vietnam to have extensive reforms when it takes part in the CPTPP. CPTPP is a highly competitive playing field. Competition is faced not only in the “playing field” of 10 remaining signatories but also in the “home” field. I am more concerned about the competitiveness of Vietnamese companies on the home market rather than in other markets because their activeness is not high. Thus, risks are enormous, even failure when competing with products from other member countries. 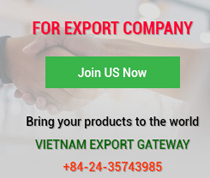 It is said that, when joining the CPTPP, the textile and garment industry will benefit from exports because import duties will be slashed to zero by signatory countries and Vietnam is quite strong in this industry. I personally think that this is not that simple because requirements with respect to origin are very tight. A big share of inputs for garment and textile production is imported from China but China is not a CPTPP member. So is the seafood sector. There are very high technical barriers concerning catching and processing. If Vietnam does not meet these requirements, it will face more difficulty. I want to note that opportunities are always coupled with challenges - and only those who are well prepared enough to cope with new challenges can really benefit from these opportunities. With CPTPP, businesses can take advantage of tariff preferences to sharpen the competitive edge of their goods and expand their export markets, especially to Canada, Peru and Mexico where Vietnam has never signed any FTA with. However, FTAs whose overlaps may be compared to the Spagetti bowl effect look very attractive but, their complex rules and conditions will challenge Vietnamese companies to understand and grasp such rules and conditions to meet and utilise FTA preferences. 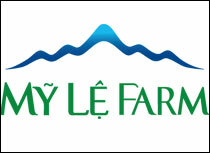 In addition, there are inherent challenges of Vietnamese enterprises, e.g. whether they have enough capacity to expand production to meet and occupy the market with this new scale. The CPTPP is also an opportunity for Vietnam to attract foreign investors seeking to penetrate demanding markets, including traditional markets that Vietnam signed FTAs such as Japan, Australia and New Zealand. Conversely, when the market opens according to the CPTPP, local firms will face much fiercer competition from foreign rivals. Foreign companies will increase their mergers and acquisitions (M&As) to quickly enter the Vietnamese market while Vietnamese companies, particularly small and medium-sized enterprises (SMEs), are weaker in strategy and organisation and they are prone to gradually lose their market shares and be easily taken over by their competitors. It is undeniable that CPTPP offers many huge opportunities but they will become practical benefits only if Vietnamese companies are fully and actively prepared to meet stringent CPTPP requirements as well as overcome challenges. While the businesses make good preparations for the pact, the government also needs to make fundamental institutional changes to make sure that CPTPP commitments are implemented and utilised in a rational and effective manner. In my opinion, the ratification by CPTPP by the National Assembly of Vietnam is a historic economic decision. This agreement will help the Vietnamese economy to have good conditions and opportunities to expand trade and investment cooperation with world-leading economies such as the United States, Japan and China and therefore benefit a series of domestic economic sectors. As for the energy industry, the CPTPP also brings considerable benefits. 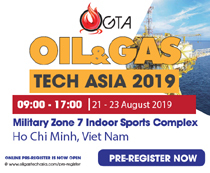 Vietnam can cooperate to do business, utilise and transfer world-leading science and technology from countries with developed energy technologies such as the United States and Japan to apply to traditional energy sectors, including electricity, thermal energy and coal as well as new energy sectors like bio-energy, nuclear power, wind power and renewable energy. This transfer will save a lot of economic resources and national budgets because we can take a leapfrog and avoid precedent failures. Another advantage is when the energy market is extended to the region and the world by CPTPP provisions. Vietnam will be forced to play with global rules. No monopolies in power, coal and petroleum prices are allowed. The Government and energy enterprises will have to regulate, balance and restructure operations to improve their competitiveness, issue transparent and public price mechanisms subjected to public supervision and comparable references to energy price baskets in the world. Then, we can boost consumption and motivate more sustainable and more competitive energy economy. The National Assembly ratified the CPTPP with the absolute rate of ayes because lawmakers recognise that this trade pact can bring a lot of benefits to the Vietnamese economy in general and Vietnamese businesses in particular. However, that does not mean that this agreement is only beneficial. Difficulties caused by this deal are also many but in general they are outnumbered by opportunities expected. The first is competition challenge. In the CPTPP, we will open up our market for 10 partner economies, all of which are more competitive than ours. Fortunately, most of new competitors have supplementary business structure with Vietnam, not directly compete with products of our companies. The second is compliance cost challenge. The CPTPP has commitments to the rules that, once implemented, they will increase some standards (e.g. labour, environment, intellectual property, etc.) to meet these requirements. The third but major challenge is how to understand commitments and opportunities from them and how to take advantage of these opportunities. This demand is already hard in previous trade agreements and it is much harder in a more complicated treaty like the CPTPP. The biggest challenge to us, to our economy is how to realise opportunities that the CPTPP brings in. The story of utilising tariff preferences, in other words, realising export opportunity, just one of them. There are numerous opportunities in investment, employment, income and institution from the CPTPP but how to achieve them is a matter. This challenge belongs to all of us, including the government and the business. And, to overcome this challenge, there are a lot of things to do. For example, authorities need to effectively review commitments, clearly anticipate impacts and figure out suitable plans to carry out effectively, help enterprises to grasp the opportunity, and envisage policies to support the economy to respond to unwanted effects from the CPTPP if they come. For their parts, enterprises must understand well commitments, identify CPTPP opportunities and challenges to have good preparations. For example, an exporter needs to know which products, which markets and which conditions on origin applied and it will seek supply sources and rationalise production to match conditions of origin. The CPTPP is legally effective on December 30, 2018. But, this is not the starting point or the deadline for efforts to take advantage of the CPTPP for the business and the economy. The sooner we act, the sooner we will come to fruition.